I updated this Grammarly Review in January 2019 to point out more pros and cons that I experienced this year. Every writer has some bias towards English grammar rules! So, whether you are a perfect or a total beginner of grammar, you should correctly understand the context to conquer the language because English grammar is famous among both native and non-natives for its complex rules & applications. Don't you agree with what I said? When your words go emotionless, non-impactful and thrown-in-air, your actual message goes bland. It becomes non-useful and uninteresting. Writing is an art, and if your audience could not understand your compound verbs, adverbs and gerund and the context does not match the targeted genre then what the meaning of your writing is? This way your context becomes difficult to understand and the influence becomes weak. Moreover, if you have such habits, then proofreading becomes a headache for you. Whether you are a blogger, a teacher, freelancer or a book author you seek for someone to edit your copy on hefty bills, okay? What if I tell you that I have a fantastic grammar checker tool that can automate your proofread work in some mere mouse-clicks? Yeah, is hard to believe; but that's the reality. Here, I am presenting "Grammarly - the writer's proofreading toolbox." Now, I will show you an example of how useful Grammarly can be in your day-to-day life. Probably you know this: lack of knowledge always creates a state-of-fear in you. Starting from Street walk chit-chats to gossiping inside the park to writing your papers … to publishing a book - everything needs your soul dedication to cut-out the actual competition and thrive your literary skills out of the box. And, it is an undeniable truth! If you are preparing your business presentation speech as a pre-made script, I feel how important it is - for a corporate leader. It may contain some surprising data which you may never want to reveal to any second-person for whatever purpose. But the problem in your script is second-rated English grammar. What will you do in this situation? Tell me?! As a student, you have a lot of assignments, homework to be prepared to meet the deadlines. Suddenly, you realised that you are assigned an essay on social-study of 50-thousand words, without any plagiarism. Right before the day of your exam, you see your essay as complete. But after reading couple lines, you find some hundreds of statistical facts from favourite magazines lies uncited in your text. So, can you see their original authors one-by-one, having a little time with you? And any idea - how to escape from the “Grammar Police” - ‘teacher’ who scans your texts with plagiarism checkers? Similarly, you would face some similar kind of scenes in your lifeline, where you will be heavily criticized for your poor English grammar and rotten writing structure! But as I said, Grammarly is already here for you. It recognised the errors in your text, corrects them, even finds for any copied content. What more can it do for you? A lot more than what you think. Whether you a school-going candidate, a professional writer or a teacher Grammarly can teach every kind of brains. It's, in other words, a likely master of English grammar. Still, if you think it's unbelievable which probably is - but I will share my eye-opener review on how Grammarly helped my time-consumption massively, over the course. To get a glimpse of benefits of using Grammarly, you should continue reading further. Why Is Grammarly A Must Need For You? Typos and grammar mistakes can ruin your whole hard work, and you'll never get work from the same client. The best you'll write - The best orders you will get. More orders - More Money. Why take a chance if we can arrange something which can help us to write flawlessly? Why risk your career if you can write plagiarism free content for your writers? I know, you never want to hurt your clients. Even, nobody wants. Are you getting bored and want to know what I'm talking about? Okay, let me stop this long and boring lines and introduce the world's best grammar checker tool which can do wonders and attract more clients to you. The name of this tool is "Grammarly" a magical grammar checker which has its own reputation in the online market and everyone is loving it. Writing anything is not really a hard nut to crack if you have got Grammarly for making your English up to the mark. Grammarly is what you need all about. It helps you to enhance English with proper Grammar and spell checker. Apart from that if you are still unfamiliar with Grammarly, then you must need to know about it because it fulfils the need of correcting English as per the Grammar. But if you know about it, then this post going to help you out so that you can get an idea about Grammarly review​. Read each and every point and take a decision today whether you want this excellent tool in your bag or not. Grammarly is a godfather to save you from the demons of English grammar - typos, vocabulary error, and context. It enables your shaking hand into a striker of impactful words, powerful adverbs, and persuasive message. Your message to readers becomes more influential, following this way. No doubt you are wondering how a brainless tool can do this much of work - Grammarly uses AI which can analyse and give you a preset number of Grammar corrections. Grammarly works on AI - means it is intelligent enough to pick your grammatical errors, synonyms, and punctuations in a corrective manner automatically. Grammarly claims to be the best Grammar checker tool for the app entire market. Because Grammarly has such an accuracy level that no other market players provide. On the other hand, its features are nowhere comparable to other linguistic software. You will be surprised to find how precise is the grammar fixes, error spotting, spelling errors, wordiness, tense & speech usages and document-styling Grammarly provides. It has an enhanced vocabulary tool as a part of the dashboard that helps you hone your active voice and passive voice usage. Plus, it comes with brilliant plagiarism checking feature. It rapidly fires the crawler to find any copyrighted phrases or taglines that are trademarks of others. Again, the reverse way it identifies if someone is illegally copying any part of your content. Another mind-blowing fact about Grammarly is - it stores all of its data on the cloud; so you can rest assured about your data storage security. The official Wiki page of Grammarly says,"It finds more than 250 checks of English grammar rules to identify a writer's grammatical mistakes and plagiarism." That's bliss. Thinking about the availability of Grammarly? Ah... it is available on most of the popular operating systems. So, it is easy for you to take your texts to edit and curate anywhere. ​You can use Grammarly via your browser, as an extension. Furthermore, it is accessible directly from the MS Word dashboard by installing an add-in that presents you the same UI. With the help of the add-on, you can write your facebook posts, tweets or any social media updates. ​On the other hand, Grammarly supports both iOS and Android users. Plus, it has developed separate apps for the users of each of the platforms. The mobile apps come handy when you are updating the WhatsApp status, emails from a smartphone or any texts. Grammarly MS Word Add-in is an excellent tool for Microsoft lovers who are clung to it. Not only it just shows you errors like the Microsoft Spell Check, but also it suggests you the reason for the mistakes and thus helps to clear your mistakes with ease. The error explanations help you much to memorise the repeated mistakes. Another coolest feature is it supports various types of text documents that are compiled in other writing tools. You can use its upload document button to proofread those type of docs without compromising the page-formatting, performed beforehand. Additionally, for the writers who do not have an active internet connection, Grammarly has apps that can be installed and used offline. For this, you have to go the Apps section in your Grammarly dashboard and choose the one suitable for your OS. Leading companies like Forbes, Fast Company, and business insider have started using Grammarly since its launch. It helps them craft their social media posts, business- emails, journals impressively and error-free. Grammarly is freemium, and for so it has a limited free version as well as a paid plan also. When I string all these full packs of features, I term Grammarly as a "master of modern grammar." 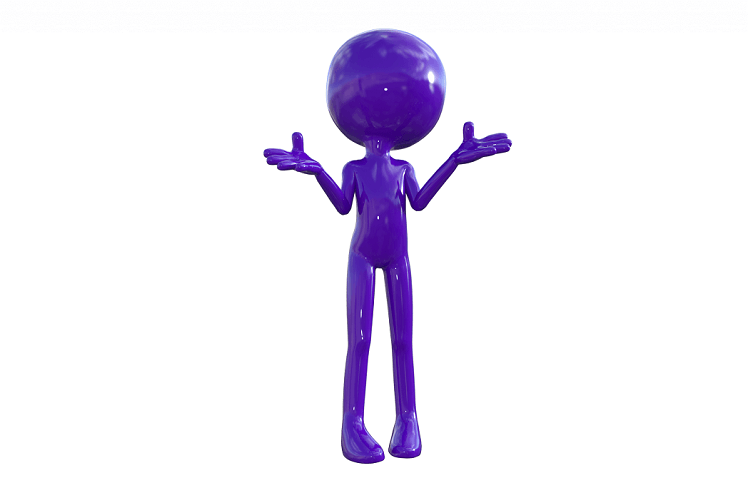 To shape your language skills, you need to rub and rinse the words, making them sharp & bold. Next, I will show you how grammar checker tools can tone your English and can make it shine. In 2008, Grammarly was founded by Alex Shevchenko & Max Lytvyn. Later in 2011, Grammarly get a CEO "Brad Hoover" who was also listed in San Francisco Business Times’ 40 Under 40. The headquarter of Grammarly is situated in San Francisco. Tell me, when you spot a grammar mistake in someone’s publication how do you feel? Don’t you criticize the author for such a silly remark? Whoever you are, whatever experience you have still it is human nature to make mistakes. And when there is a load of work pending, you have proofread them do as fast as you can. Making things easy need someone's assistance, and i is better to take the help so that the works can be completed on time. ...then, do you agree to go for an easy solution for this? You know it already that English grammar has some fast rules that are being used for ages. So, Grammarly is AI driven that compiles all the rules and cross-checks your documents for errors. 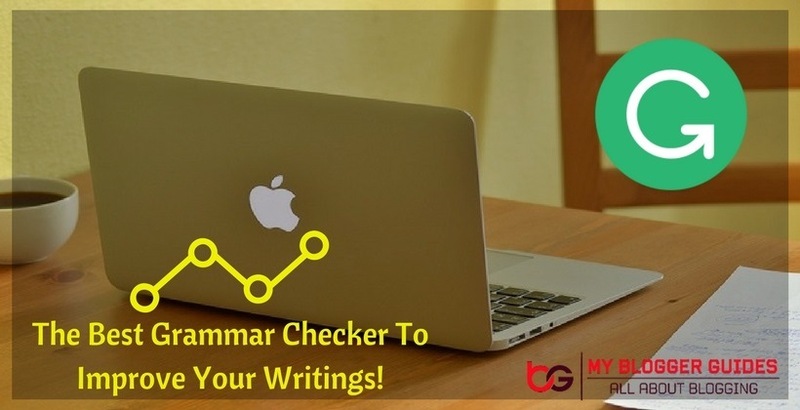 In fact, all the grammar checker tools use a predefined algorithm which is backed by a database of grammar rules, common grammar errors, the context of writing, etc. It can memorize better than our typical writer brains and thus suggests the proper fix with some keypress. You can call Grammarly as the brainless proofreader or a caretaker of your text. Most of the online language enhancing programmes are developed some limited numbers of options such as spelling errors, font scripting, and spacing issues. But Grammarly is entirely above their features. It uses ML, NLP and AI combinedly. So, the data processing works ergonomically. Technology has progressed. Grammar checkers can now listen to your text contexts and make your words more precise, writing styling. Even it uses hundreds of readability formulas like Flesch Reading score to make your text audience friendly. So, it becomes easy for one to write for various type of readers peacefully. When MS Word is the priority of a writer, they may ask you - when my MS Word can do spell checks and can correct them, why do I need Grammarly? My dear friend, continue reading… you will get the straightforward answer without anyone's help. In a single line, Grammarly is a master to MS Word. It is intelligent enough to correct your spelling errors, speech accuracy and a lot. It understands your writing style and make it compelling, and saves from unconscious copyright violations. Wait, it's time for a clear picture of preciseness of Grammarly. You know it previously that Grammarly adheres to more than 250 English grammar formulas. And now you are going to see a real representation of it. Pick a part of any of your pre-written text and paste it in the Grammarly Editor. Now, you will see the errors underlined and their suggestion on the right-hand side of your dashboard. Okay? It takes just some seconds depending on the length of your text. Moreover, when you move your mouse over the underlined area than it shows a pop-up with suggestions for words and their rectification becomes easy. Also, Grammarly reveals the type of the error precisely so that you can recognize it further. To put it another way, you can say you are making an informed decision, and it depends on you on whether the error is okay or normal. This is why Grammarly has got a robust rating by most of the editors, writers who are the happy users of its features. It is not only applicable for writers but also is useful when you are a business person who drafts corporate emails, a blogger who writes social media posts and a customer care executive who is busy with formal conversations. On the other hand, if you do not want to install any of its apps and want to use it on other websites side-by-side, then you can install Grammarly Browser extension. I have shared the detailed steps on its usability in the next part. To use it on other website text boxes, you will see a slide-in option to click. Then it will show a pop-up containing the text you entered in the text box. Further, it shows the typos, slangs or anything that goes against the grammar rules. The same thing can be achieved even if you are a smartphone user. You have to go to your Operating System Own Application Store and then install the Grammarly Keyboard (available for both iOS or Android) to make everything you text, chat or note on mobile is mistake-free. Besides this, if you have any pre-written content on other word processing programs, then also Grammarly can proofread that without altering any of your page formattings. 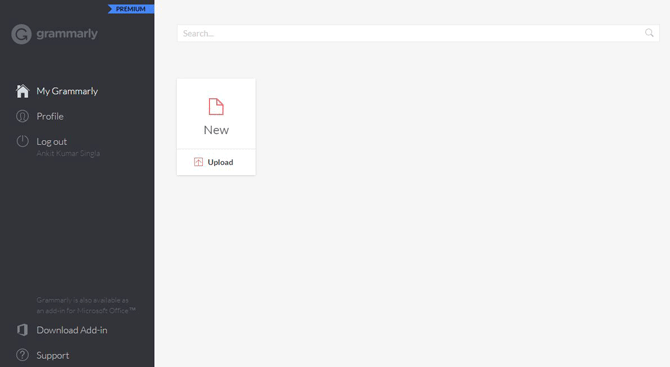 You have to move to the Upload section in your Grammarly Dashboard and have to choose the desired document to upload. It is surprising that Grammarly supports almost all of the most used file types like .doc,.docx,. odt, .txt and .rtf, etc. Another feature, i.e., Plagiarism Protection. It saves your hard-works of writing from getting copied by someone. It crawls over 6 billion web pages to find vulnerable areas who try to copy your copyrighted content. The same way, if you are a webmaster, probably you aware of the adverse effects of Search Engine rankings when you use plagiarised content. Also, there is a possibility of DMCA issues when you are mentioning any sentences without citing the source. For the features of Grammarly premium, continue reading. Grammarly is not only a tool to proofread your article and make your content free from grammatical mistakes, but it will also assist you with many other great features, such as Plagiarism Checker & Vocabulary enhancement. Most of the writers are paranoid about Plagiarism. It steals their sleep. The reason behind this issue is most of them are self-published authors with a small team, and they can't just monitor whoever is copying the contents from original authors and publishing them to the web. Unlike other grammar tools, Grammarly has a distinct feature to check for any possible plagiarism. It fires the plagiarism bot to crawl and find your sentences, contents and all, out of 16 billion pages, in a click. Weak adjectives do not show the accurate data. It leaves your audiences in a bewildered state. Elimination of weak adjectives is one of the best features Grammarly comes with. It suggests you several related strong articles to replace with. This way your message gets your desired voice & coveys its projected vision. The days are gone when we used to keep a dictionary made up of papers always with us, while we read or write. But now the technology has advanced like Grammarly thesaurus. If you want to replace a word with an alternative that fits into the context of the sentence, then you have to click on that word while writing in Grammarly. You will be presented with numbers of synonyms closely related to the same word. This way your context becomes more impactful. We are limited to our perceptions. Similarly, when we write, most often there are some set of words that appear in our text repeatedly, especially when it is a subsequent series of documents. So, won't you be bored after meeting the same words on each page of a long document? For me, it is annoying! So, Grammarly alerts you to repeatedly used words and suggests you their contextual alternatives. We are growing faster than our old generations. This way our workloads and timing has also elevated. The same goes for writing section. To write more in less time, we try to force our fingers to write fast; these results altered spellings and typos. It is a headache for a lot of the writers because we are now addicted to it. To solve this issue, Grammarly has an inbuilt critical error and typo correction feature. When you are writing, if you miss a letter of any word or insert "were" instead of "where" it is a severe type of issue - most of the spell checkers fail to recognize. Now, imagine how much Grammarly can do for you to identify your typos one-by-one and suggesting you correct them, without fail and except any extra time requirements. While writing a long note or even a blog post, we always used to write the same meaning words many times. For example, have a look at below given screenshot. These type of small errors go unnoticed by us but not by the reader, and it can be a cause of losing readers. Well, If you're a Grammarly Premium User then you're safe because it will help you in all of your writings work. It doesn't matter whether you're writing a short article or a long essay. Well, Writing free from grammatical error is not so necessary in social media, but in case, you are writing an essay or a long blog post, then you should write 100% grammatically perfect sentence because it will help you in impressing your readers as well as search bots too. To write grammatically complete and mistake free sentence, you need to be good at grammar rules like as; subject-verb agreement, Past, Future, and Present sentence. But If English is a non-native language for you, then it is impossible to write 100% correct grammar sentence. Somewhere you might have developed confusions for exclamation marks, interrobangs and comma usage. 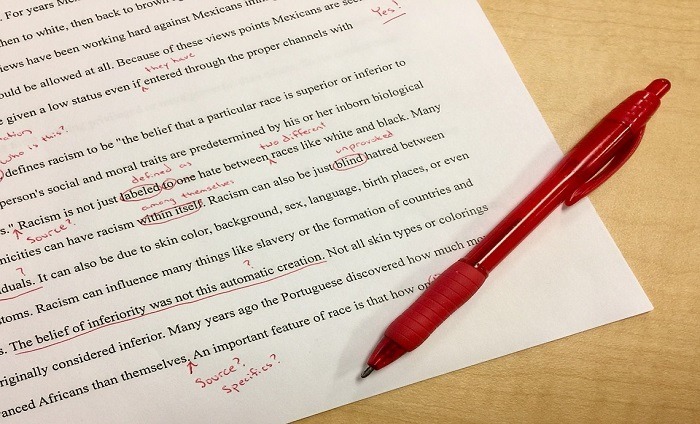 With Grammarly, your messes turn into corrections! Grammarly finds the areas where your punctuations need to insert or replaced according to the context and reports you the best suggestion. Mostly, it is a must for fiction writers to express their emotions, tragedy, and thoughts through the words. Punctuations maintain the rhythm of writing, and thus your message becomes easy to reach out to your prospective audience. Besides, the structure of writing matters a lot when it comes to specific industry standards like administrative writing, medical report preparations, and formal letters. Grammarly takes care of all those things. When you use a product name in your documents, while writing the spell checker tools, give you multiple spelling error notices which is quite distracting. In this case, Grammarly has a personalized dictionary dedicated to individual users; in which you can store your desired words, names - it will help you stay focused on writing. If you are an avid MS Word user, then might you have noticed though its spell checker tool gives you alerts for improper spacing, misspelled words, they do not usually give you the reason behind the error. So, it doesn't help you in the long term. This is opposite in case of Grammarly. It gives you the causes that are responsible for the errors, and it shows you some explained examples of the failure which in return enables you of keeping that frequent error out of your habit. Whenever there is an error Grammarly pinpoints it by an underline; adjacent to that you will find its precise causes and corrections. Grammarly sends you a personalized email which contains all the words you used, how much solutions you learned with Grammarly and what is your progress compared to the previous period etc. This way you can keep track of your records and can achieve your timely goals. Distraction, not something new. We are living with it in ourselves. So, to resolve this issue, Grammarly has its writing interface in the color grey-white which is quite helpful to stay to focus while writing. Grammarly supports Microsoft Windows and Mac OS both. It means if you want to access a document on a Mac OS which was written in your Microsoft OS; it is okay - you can access it. To achieve this, you can follow the beginning part of this post. You have to download its native apps/ standalone apps and install them on your PC. To use Grammarly on MS Office products, you can download its Microsoft Add-in which supports Microsoft OS only. Writers prefer MS Word more than other apps because it has a lot more features that other apps do not. Sometimes the spinning G icon on the menu bar creates a little distraction in MS word, but it is okay. Softwares work proficiently with only the data they have with themselves. So, they don't understand the exact feeling of a sentence or metaphors, etc. 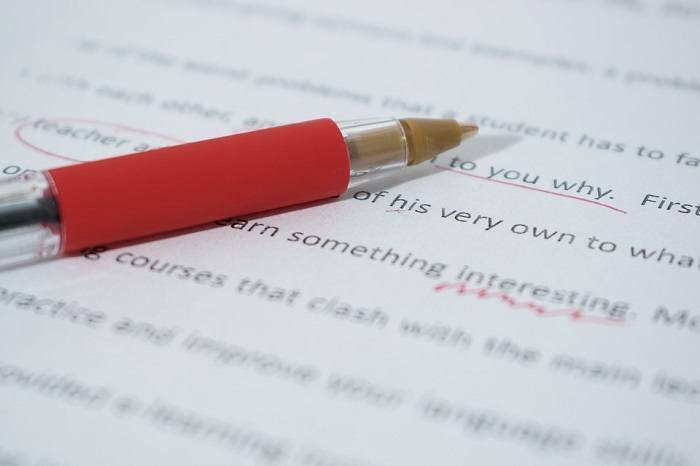 To tackle this issue, Grammarly introduced a human proofreading feature. Using this, you can give your documents a human retouch. Keep it in mind that, this feature has an additional cost apart from your billing payment. Just, it incurs some extra fees. Grammarly team is very supportive to their customers. You can ask your queries using their online forum, via email, and by using the tutorial option which is available in Grammarly premium account. You can easily post and ask your queries to an online forum and get interact with other online users as well. It's ahead of just a few steps. There are some simple ways to use Grammarly according to your choice of platform. Moreover, Grammarly offers a free trial for seven days. You can make use of it. You can use Grammarly several ways. The usage is dependent upon your platforms, devices, and requirements. Let's have a look at the entire process. Step-2: Firstly, Go to the official site Grammarly.com and log in using your email, password. Step-3: Secondly, (after the login is successful) you will find a "Demo" document in the middle of the Grammarly editor. Step-4: Thirdly, you have to click the button "New" adjacent to it. Step-5: Finally, you can either choose to upload a pre-composed document into Grammarly or can begin writing a new article. As soon as your document appears, you will get a critical analysis report on side-by-side. This way you can correct your real mistakes and can perform improvements in your text document. Now, it is time for using Grammarly on other websites to correctify your messages. So, you can see in the above screenshot your whole content is available to edit with the red-underlined errors on the left sidebar, and the right answer on the right sidebar. It is one of the essential features Grammarly offers. It works even if you have a free Grammarly account. But the disadvantage with your free plan is you won't be able to see the Advanced Errors. With this extension or plug-in, there is no need for copy-pasting your texts from sites like Gmail, Facebook, Instagram or Twitter, etc. because it offers on-site proofreading and grammar correction. You are composing a tweet, and you do not have a rock-solid grammar base, okay? So, when start writing your words, what Grammarly will do is it will show the errors as you type them on-the-go. You just need to click the G icon present at the right-corner of the tweet box. It will show you a pop-up with all your errors and their solutions. Only if you are a premium subscriber of Grammarly, you can see the advanced errors; else you can't. Grammarly works on most of the sites that give you some space to write inside. Using this browser plugin, you can quickly correct any on-site grammars issues while you post on Facebook, write an email, etc., without even the leaving the site. Well, You can see, it is automatically scanning the words which I've written wrong & detecting all errors (Critical & Advanced). If you prefer Microsoft Word for your daily writing works, then Grammarly has an Add-in for your Microsoft Office. It works a reliable feature when combined with MS Word's spell checker. This option seems unavailable for free users. You need to be a premium subscriber of Grammarly to use this feature. Here are few steps that you need to follow to download this Add-On Of Grammarly. Steps are very simple as you install any other software in your PC. Step-1: Head towards your Grammarly Dashboard and from the section Apps, present to the left, you can download it to your PC. Step-2: Install the file following the same procedure as you do while installing other applications. When the installation is complete, enter the required credentials, and you have to activate it from the MS Word Dashboard. Step-3: When it is successfully activated, you will start seeing a spinning green icon on the menu bar. Instantly, it will gather all the bad grammar areas and make an extensive report on the right-hand side. When you open the native app, you will realize that there is no difference in it compared to the web version. It has the same content structures options like Web Version: (default) General, Academic, Business, Technical, Medical, Creative, Casual. In the bottom bar, you will see the total character count and word count by clicking on them. You will get the readability score adjacent to it. In reality, it has as much as features the other integrations of Grammarly offers. You will see it and, further perform a download. Though the name 'Grammarly Keyboard' itself defines everything that it is in reality, still I will share the details of its features. Grammarly keyboard can only help you while you are writing; unfortunately, it doesn't support editing of pre-written documents. Also, the web version Grammarly Editor is not optimized for mobile browsers. If you use the keyboard, you will notice that its background is white and so it is distraction-free. Keyboard fonts are dark and bold visually; so it is easy to write even in low-light. You can use Grammarly Keyboard for any of the writing work in mobile. One of the plus points of using Grammarly keyboard is - it supports writing on webs. Like Quora and Google Docs. Which no other version of Grammarly supports currently. Next, I will explain why you should consider Grammarly Premium. Grammarly premium is a paid-for plan that offers over 400 types of checks & features — tests for grammar mistakes, vocabulary enhancement suggestions, plagiarism checker, and real-time spelling error detector. From the beginning, I have shared a lot of Grammarly and its 4-5 different plans. If you can remember it - I said Grammarly offers a free limited plan and a premium subscription with versatile features. I will be sharing the advantages of Grammarly Premium. 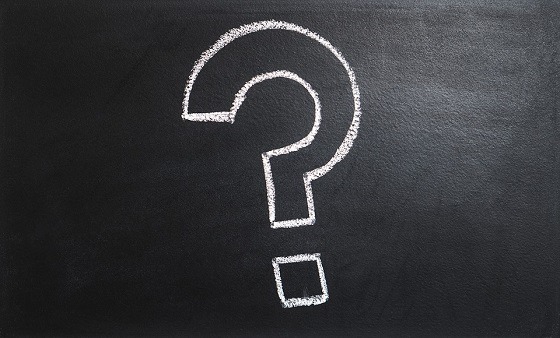 I understand, if you are starting with a new thing, many questions arise in your mind. It is natural. Why should I buy Grammarly when the Free Plan is working fine for me? Is there any way to avail Grammarly at a lower price? Why Grammarly, not any other? Will it be worth of my money? and a lot more.... Isn't it? Stay assured - I will present an illustration of how beneficial Grammarly Premium for you is and whether your money, paid, is worth the features or not. At the same time, I will share how Grammarly Premium can be used at par with different professional works and how to turn the Grammarly into your grammar-aid. You will get to know about the total comparisons and their benefits side-by-side. Let's have some words on the pricing of different plans. Grammarly pricing plans are user-specific. If you are an individual, then you have three options to purchase it. Monthly Subscription of Grammarly premium costs $29.95 per month. Quarterly subscription of Grammarly costs $19.98 per month, billed as one payment of $59.95. 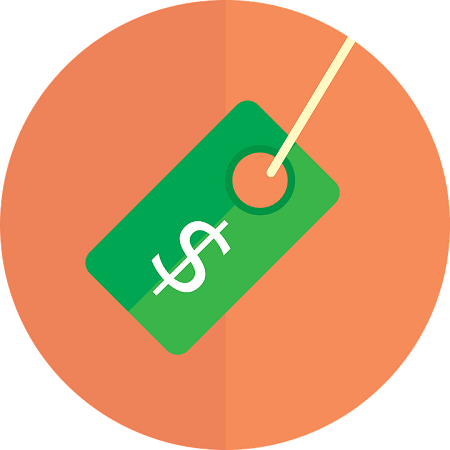 The Annual subscription of Grammarly costs $11.66 per month, billed as one payment of $139.95. Apart from this, if you are an educational organization, there is a specific Grammarly@edu plan which is billed per student/per faculty as a single payment. You have to quote them for this; there is no open price available. Whereas there is a plan dedicated to Business enterprises and companies which provides a user monitoring dashboard and the subscription is also billed per employee based on one payment. Important to note: You can use PayPal, Debit or Credit Card to add your recurring payment preference. Except the monthly billing plan, all others are billed annually and as a single payment. So, after making the calculations, find the best one for you. I would suggest you to consider purchasing the Annual Billing because it will save some good money off you. And, if you can't afford the yearly plans, better if you can subscribe the Quarterly subscription. If nothing feels you comfortable, then only you should go for the monthly billing. Coming to the point, if you have understood the billing structure of Grammarly now you must be thinking of its value over money, right? Okay, assume you are working on the free account of Grammarly but unable to fix the advanced errors, and still your works are not yet considered as flawlessly proofread. Why? Because… it lacks the features that the premium plan offers. In fact, Grammarly gives you what it promises. You won't get the advanced grammar correction rules, punctuation fixation, and document context recognition, etc. in the free account. Also, you need not an extra bill of Hundred dollars to hire a professional proofreader, if Grammarly premium is your assist. Plus, without a mentor, you can learn some in-depth topics of Grammar. Though it saves your money from getting burned, it is, on the other hand, elevating your grammar knowledge. RIght? If you compare Grammarly with MS Office Word spell-check, thesaurus and grammar tool, then you will realize how attributive is it. I admit, Grammarly is a grammar checker, and its features are based on the MS Word Tools, but it is robust when all of the features are combined altogether; like, MS word only suggests you errors to be corrected, but Grammarly gives you the suggestion side-by-side- it helps you memorize your common issues. If you are a professional writer, then no one knows this better than yourself: You can climb any highs to make your words, impressive that gives the proper message. The reason is perfection in grammar makes your writing more attractive and persuasive. It is quite uneasy for one to memorize all the rules everywhere when your age grows. So, what Grammarly does for you is - just shows the correct suggestions with some examples - means you can visualize it in future before repeating the error. Even if you want a professional human proofreader, still you may find a lot of loopholes that our normal eyes miss out; but not tools. If you are a professional of writing and living on writing, then you can quickly recover the expenses you invested in buying this tiny-but-powerful tool. Grammarly premium not only for writers but also for lot more others. Like, if you are a journalist, you can save your time from manual proofreading and can research more on your topics. This much of robustness no other grammar checkers currently offer. So, Grammarly premium is the best investment you can do to boost up your writing skills. Now, if you say I am not convinced enough with its offers and want to take a closer look. Okay, there are ways that you avail Grammarly as a 7-day trial with money back guarantee from their customer support. "Grammarly is committed to protecting the security of your information and takes reasonable precautions to protect it. However, Internet data transmissions, whether wired or wireless, cannot be guaranteed to be 100% secure, and as a result, we cannot ensure the security of information you transmit to us, including Personal Information and User Content; accordingly, you acknowledge that you do so at your own risk." According to them, your data reaches to their server after computer routes them to their cloud. So, they are not taking caring of your data when it is with you. Again, they are not transparent in protecting the transmission of personal information users which is not a good measure for customers. After reading the above content of this Grammarly review, you must have gathered some ideas about the specific benefits of Grammarly premium plan. Out of the highlights of those TWO types of plans, i.e., FREE account and Grammarly Premium account, I will be making an extensive comparative analysis. I know it is your choice to opt for the best, but when it comes to the comparison, the Premium features will naturally rank higher and the free plans are limited to an extent. With the Free plan, you won't be able to enjoy all the benefits of Grammarly. Most of the critical and advanced grammar suggestions are present in the premium plan - not the free subscription. Though you can see the critical errors marked by Grammarly you won't be able to see their detailed explanations. Yes, I agree that the free version is enough for beginners and it also works accurately when it comes to proofreading and grammatical corrections. But, if you consider going for the premium plan, Grammarly provides more than what you wanted - human proofreading, plagiarism, and many more elegant tools. When compared to the free plan the same 400 numbers of grammar checks premium plans also follow the same. But you will not be able to see the entire advanced grammar error report as you can do with the premium plan. In addition to this, it has a personal dictionary, sophisticated vocabulary database, and a mighty thesaurus. With the free version, the plagiarism option is unavailable to use. So you can't find any copyright violations. On the other hand, in the premium plan, you can use the plagiarism feature seamlessly, and it scans over billions of web pages to find or any content or parts of your writings. You will realize after the comparison that the premium version is a full-pack of the feature while the free version is a piece of a showcase of the elements. Analyzing all the data, I would always recommend you to go for the Grammarly Premium Plan. I would highly suggest you upgrade to the premium plan if you are a writer or a blogger who is making a living out of writing. Down the lane, you will be able to realize the changes and upraise of English Grammar within you. Grammarly cares for its free users. The spelling checker and usual grammar checking will be open for unlimited times even if you do not subscribe to their premium plans. Grammarly plagiarism detector scans billions of pages at once means there is a less chance of leftover of web pages that copy your content. The vocabulary algorithm adheres to an extensive list of more than 200 grammar rules means you can rest assured about most of the grammatical mistakes without any doubts. When you want to give your document human proofreader's touch, it is not necessary to move out from the Grammarly dashboard. You can do it directly from the interface as there is an option to achieve so using the professional proofreading option. Keep in mind that it incurs some extra money apart from the plan billing. You can use Grammarly directly from any of the Internet browsers. It supports Google Chrome, Safari, Internet Explorer, Microsoft Edge, and Firefox. Grammarly native apps are available for both mac and windows OS. If you want to work within the interface of MS Word, then Grammarly has a Microsoft add-in for you to achieve this. You can use Grammarly on smartphones. Their Grammarly Keyboard app enables you to write smoothly with the help of world predictions and automatic AI features. Grammarly offers 7-days guaranteed money back if you find its feature unsatisfied. Writers who use Quora frequently like me get disappointed by Grammarly because it doesn't support this website. The upgrade notification is pushy if you are free to plan user. Google Docs is also not yet supported which is a significant drawback for writers. Still, there is no announcement from Grammarly regarding their integration with Google Docs. Currently, the MS Office Add-in is only compatible with Microsoft OS, and so the Mac OS users are unable to use Grammarly in their MS Word interface. There is no doubt, you have conquered the in-depth data and features of Grammarly, but still, I want to interpret what my opinion is for virtual Grammar Checker Tools. With the pace of technology, programmes are getting smart, and word processing power is seamless. Though they make errors, they do not forget anything. For so, they work efficiently. Having said that, no one should be relying Hundred percent on a tool. Because whatever perfection a tool offers, it is yet unsupported to feel the emotions, proverbs and their context in documents. They are designed or programmed using some specific predefined rules. So, they have their limitations. This is the biggest reason why we still require human proofreaders and editors. I recommend all of my readers to at least double-check the document when you proofread using Grammarly. It is okay to use Grammarly unless and until the quality of the write-up is not deteriorated. Again, a Grammar checker tools are not a must have for a writer. You can go for it if you feel it affordable. Because the price is nothing when compared to the features. Plus, having Grammarly there is no need to scratch heads when you see a lengthy document to edit. If your eyes are tired skimming through writing, reading and correcting the typos, spelling errors, then it degrades your productivity. So, instead of manual editing, you can consider Grammarly as your grammar and punctuation assist. But if you are new to grammar and on a learning phase, the price of its premium plans may go out of your budget. So, until you afford to upgrade it, you can continue using the free version for day-to-day usages. Because the free version also works accurately and doesn't disappoint one. It saves your hard-earned reputation by minimizing the number of errors your text contains. It pushes the writer after you break the previous records with your weekly trend and progress reports. Makes your documents more user-specific and compelling than it was before. Your write-up becomes free from any accidental plagiarism. Helps you build and enrich your word-choice and vocabulary. Brings you immense confidence by breaking your lousy grammar habits. I would highly recommend you to go for the annual premium plans blindly because no other competing grammar checkers meet the features of Grammarly. If you are an academic student, consider Grammarly as an English-grammar-proficient friend who can help you anytime, anywhere. If you are already a subscriber to Grammarly or planning to go for an upgrade, then I would like to know how the experience was for you. And, if you are not a user of that, I would recommend you to take it without a second thought. Did you like this Grammarly Review? Don't forget to leave your valuable thoughts in the below comment section. Grammarly is an excellent grammar checker tool which I've seen so far in my 2 years of blogging career. It can fix all grammar, punctuation, and spelling errors while writing the content. The most favorite feature that I liked the most is Plagiarism checker which makes it stands out from all other grammar checkers. Hi its Raja From TheEventsFeed. Well said brother started Using grammarly Yesterday,great tool Fixes your Writing mistakes and enhances your Writing. Yeah grammarly is really awesome …. Awesome guide bro. Thanks for the share. Long and detailed. Everything a reader should know is there. Great. Excellent information. I wish I could have pinned it for future use. But it is great info. Thank you for sharing. First off, thanks for stopping by. Dear, As you can see, I got my first payment of US$26 through Payoneer. So, You can also get activation bonus from Grammarly by writing a review post. Yes, there is a minimum payout of $100 but on activation bonus, it will be not applied. Hello sir, This is amazing information, I got inspired after reading this blog! Thanks for the great comment buddy! You inspired me too by these beautiful words. Keep blogging on and achieve your goals. No one can stop you if you have guts to do something. It’s a well-written article and I have been using Grammarly tool for last 1 year and satisfied with the performance of this tool. Keep sharing these interesting articles. Hello Sir, this is amazing information, I got inspired after reading this post. Very Informative Post. Awesome Admin. Thanks For Sharing. Hey Buddy, I’m using grammarly from last 2 years and it is awesome tool for those people who are weak in writing articles. It will help to improve your english for sure. I will give 5 star review to this grammar checker. Your guide and review about Grammarly are based on information that you have experienced. I’m using Grammarly for a long time and it is very helpful to correct grammatical mistakes that we forget while writing. thanks, sir I am using Grammarly. Hi Paramjot, this is really very brief and informative review article. I am using Grammarly from very long time and it helped me a lot in creating mistake free content. If anyone can’t buy it then he can use the free version. Grammarly helps me a lot. I am using its premium version. After reading this article some of the features I knew. thank for sharing such a great article. Grammarly tool is best tool which i have till now Its Premium Version is amazing It correct Preposition and conjunction also. Thank you for reviewing this tool. Grammerly makes very easy to write the content in websites and in blogs very easily and efficiently. Grammarly is Amazing Tool. But My premium expired so that’s why i’m suffering some grammar issue. Keep It up sharing such a good article. Grammarly premium version is very useful. I have the experience of using it. I also love its plagiarism feature. 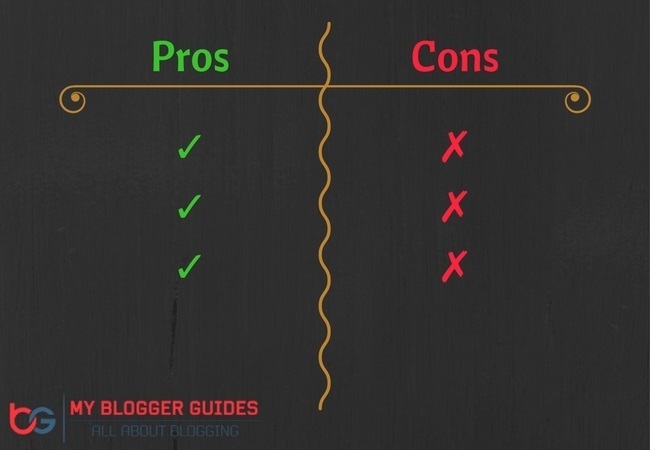 A great and precise article, most of the blogs on the web are kind of quickly do that, do this. But this one truly shows that it takes time and precision to improve Grammarly importance. In Feb 2018 a TechBeacon claimed that Grammarly leaks everything you write. Everything. So I do not think it is a good option for users. If you are an IT Pro then you can use it by applying restrictions to the extension. Great explanation, I’m using Grammarly, and it’s really awesome. I regularly use to visit your site to collect some new ideas from your Article and usually found it here.